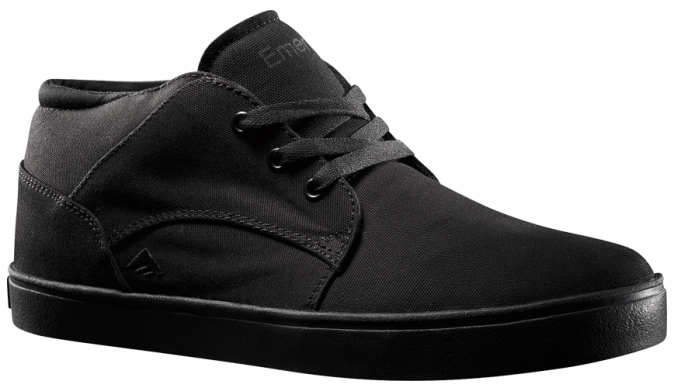 This slim Mid-Top is Kevin “Spanky” Long’s 5th pro model from Emerica. It only has three lace holes a side, how minimal is that. Super simple toe with no tech stitching to get in the way. These are the mid-tops you tie once and stomp your feet into every morning. I hate tying my shows anyhow . STI Foam Lite 1 in the foot bed to keep things light weight. The Vegan model is from the Spring 2011 Season, but plenty of sizes are available.